Through the fires of this life and the waiting for God’s answers, we are inevitably changed at our core—one way or another, for good or for ill, toward the face of God or away from it. We have a choice about which kind of change will come. And that choice can leave a legacy of faith and victory or a heritage of bitterness and self-pity. After he had come through the fire, we see in Job a radical transformation—from a man who genuinely loved God, but was missing out on that deep, intimate understanding of who God really was and what His purposes were, into a man whose “faith had survived the crucible, and now he owned an intimate knowledge of God that would radiate to others a profound confidence in his Lord.” He had come forth as gold. And that spilled over into his new life and children. The father Job can be on the other side of his suffering is a father who gives his second set of children a glimpse into the Father’s Heart, a testimony of deep and abiding faith and obedience to God and the knowledge and understanding that God will accomplish His purposes. He can teach his children about God’s love and mercy, about restoration and about perseverance and victory in difficult circumstances. Because of his suffering, Job could be a man who bore spiritual fruit and could reach his children and every generation after, for God’s Kingdom. And so I ask myself, what kind of legacy am I giving my kids? Am I lighting a spiritual fire in my children and showing them what true and deep faith and utter dependence on God looks like? 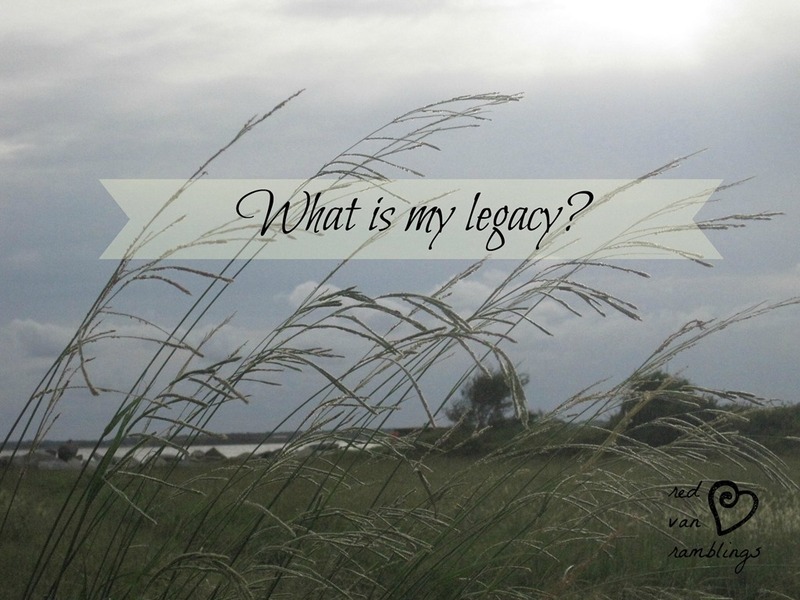 Am I living a life that produces fruit in the kingdom of God? 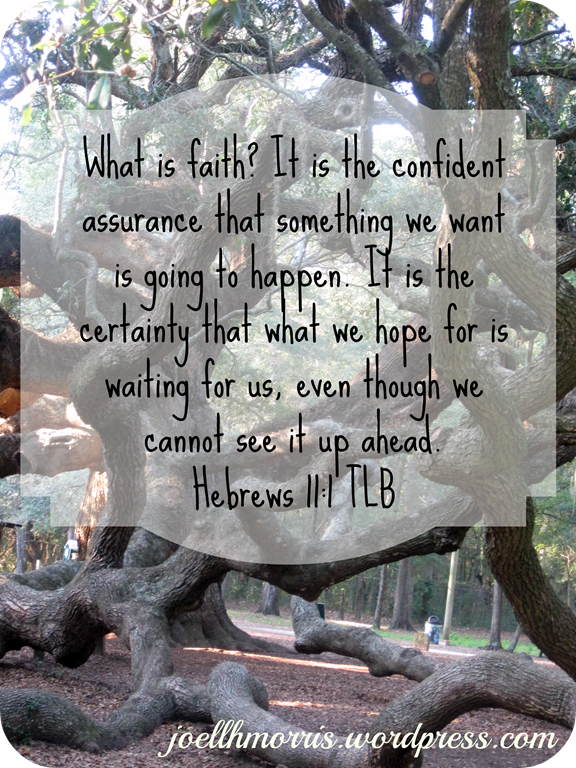 When times are tough, do my kids see a mom who perseveres and is faithful and willing to suffer according to God’s will? Maybe, but is it enough? And if it is not, I am not only cheating my children, but I am also cheating myself by merely scratching the surface of the deeply intimate relationship that God desires to have with us. I want to show them that there is more. It is hard to acknowledge my inadequacies as a parent. But it is only more proof of how desperately I need Jesus and His mercy and His work in my life. I want to go deeper and I pray that He will do that deep work in me that will produce lasting changes that bear fruit, so that I can pour that out into my children to the glory of God, for His Kingdom, and for the generations to come. Who can you trust in the fire? When I see people struggling, hurting, suffering, I want to help them. I am a fixer. I want to fix and make things better. It seems to be a “thing” in my family—a need I am pretty sure I inherited from my daddy, who is Mr. Fix-It! On the other hand, when I am struggling, I find myself wanting someone who will listen to me, encourage me and want to help me. I have a select few friends and family members I will reach out to in those difficult times. Sometimes those who love me and know me well, will recognize that something isn’t quite right and will offer their support unasked. Think about Job for a moment. Job’s friends did not know the whole story. They were offering advice based on what they could see going on in front of them. They were unaware of the spiritual battle going on behind the scenes. They also did not know that Job did not need to hear any scriptural platitudes to ease his suffering because Job, even though he was suffering beyond anything I can begin to imagine, was keenly aware of the fact that what was happening to him was not due to any sin on his part, but it was because God had chosen to test him in this way. Remarkably, Job recognized God’s desire to refine him. Job had to be careful, though. Even though he knew in his heart the true reason behind all that was happening, he still had his friends chirping in his ears. Of course, they were only trying to help. What if Job had been distracted those guys? Perhaps he would have missed the whole point of what God was trying to do. We have to be careful too. In the midst of our trials, we have to be able to filter out the advice we may be getting—no matter how helpful and godly it may seem to be. We have to be careful of what voices we listen to as we walk through the fire. They may be the voices of those who love us very much. But they may distract us from the One Voice. The only voice that matters—the voice of God. I have to remind myself, that in times of struggle, I need to reach for God first and not the phone. Open His instruction book. Seek the counsel of God Himself. Be still and know and trust and listen for His voice. Then I will know His voice and I will be better equipped to filter through the helpful, or perhaps misguided, offerings of others. I can seek godly counsel, but filter that based on His Word and on what I know to be true about the heart of God for me. Likewise, I need to be cautious in my desire to help others. Before I jump in and make the same mistake Job’s friends made, I need to, as Mr. Sorge suggests, “stop first and ask the Lord how [I] can pray according to His heart.” Then I can help as the Lord leads. I don’t want to be like Job’s friends who rushed in spouting off words at people without thinking it through and praying about it. I want to be like Job, who trusted in God’s design for his sufferings and who remained steadfast and believed he would hear God even when he felt that God was silent. 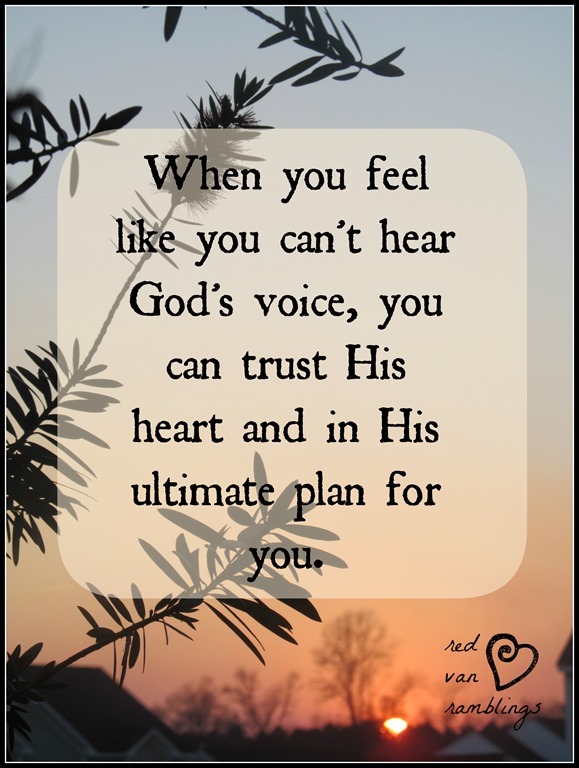 Even though he could not hear God’s voice, Job knew God’s heart and trusted in His ultimate plan.